Not wasting any time, I jumped into this story immediately upon finishing the first book in the series. The downside to my eagerness, however, is that now I don’t have anywhere to go from here. The third and final book has been eagerly anticipated by fans for several years now, though the author seems to be content to take his time in publishing it. This book picks up the morning after the previous one ends and sees Kvothe resume his tale for the Chronicler. In this installment of the story Kvothe is once again on the move. Forced to take a leave of absence from the University, he travels to the court of Maer Alveron, a wealthy lord who may have interest in becoming Kvothe’s patron. The Maer, however, is a suspicious and fickle man who maneuvers Kvothe into performing a variety of demanding tasks while in his service. 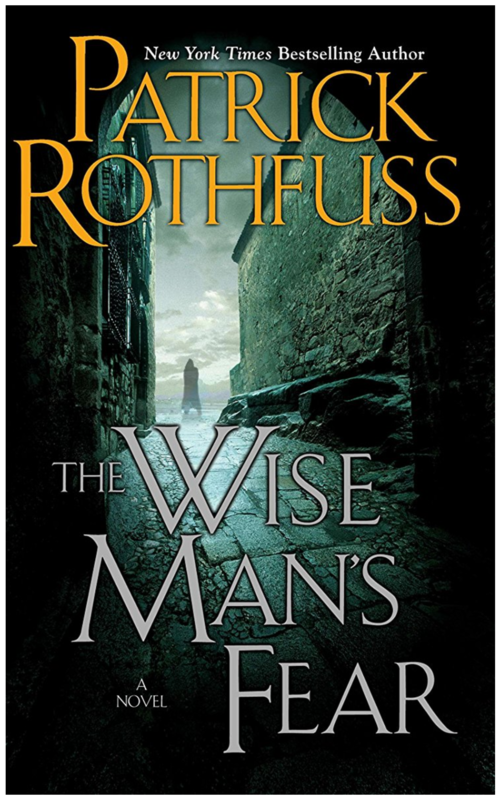 One task in particular serves to greatly expand the scope of this story, as it sets Kvothe off on adventure into the wilderness and begins a chain of events in which he not only spends time training in the fighting art of the feared Adem mercenaries, but also stumbles into the Fae realm where we gets a rather different perspective of the world. As with the first book, I really loved the overall story and the world that contains it, but felt the narrative occasionally stumbled in regard to pacing and continued to get bogged down in places it should have moved on from sooner. In particular I thought a little too much time was spent on Kvothe’s, um, dalliances with Felurian in the Fae realm and in providing long lists of fighting poses that the reader is never really fully introduced to. Also, though I found this more intriguing than off-putting, I don’t know that I liked the main characters all that much in this time around. Kvothe came off as brash, hot-headed, and selfish (though perhaps his older self would agree with this assessment) while Denna made some really suspect choices of her own that made me question both her judgement and trustworthiness (more on this later). Despite these criticisms, however, the story as whole has managed to get even more interesting to me. It was fascinating to watch the world expand and I can’t wait to finally find out what’s happening in the present day. I need to know! Since I now have an indeterminate amount of time to contemplate the next novel, I want to ponder a few of my nagging questions. I haven’t read up on any fan theories yet, so apologies if these seem obvious or off the mark to anyone more familiar with this world. As a warning, I am going into spoiler territory now, so if you haven’t read the book yet, now is a good time to step away. And now for a different kind of fluctuation! 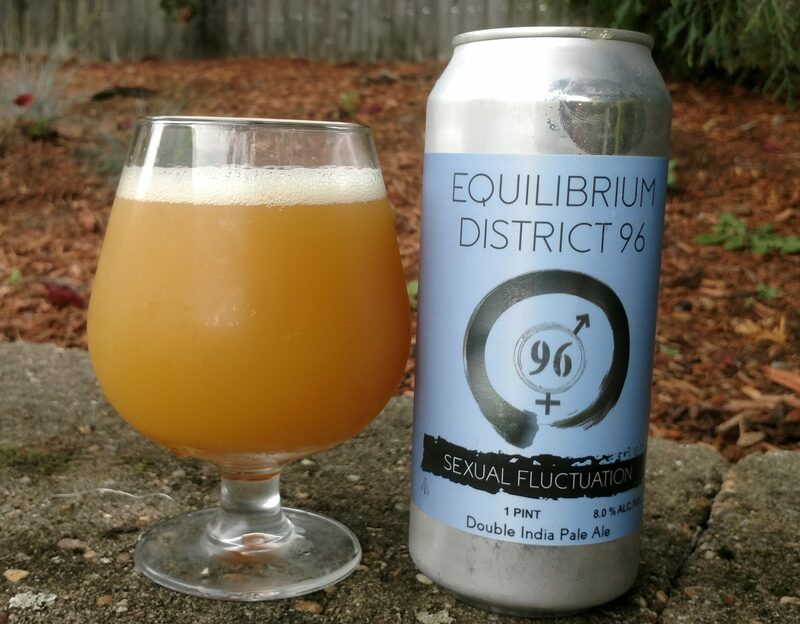 Right on the heels of another Equilibrium collaboration I enjoyed the other day, this next beer was a joint effort between Equilibrium and District 96 Beer Factory (which apparently has some connection to a burger place as well). Again, this was a gift beer. Description: As noted, this was another collaboration brew, this next double IPA offers up a blend of Citra and Galaxy hops. Appearance: It poured a glowing golden/amber body with a thin bubbly white head. Smell: Pineapple upfront, with a light citrusy bitterness in the background. Taste: Tropical fruit juice, pineapple, and citrus zest gave this brew a juicy front end before it came to a creamy, lightly bitter ending featuring mango and a blend of earthy/piney hops. Hype: Slightly elevated. I recall seeing a bit of buzz around this when it was released. 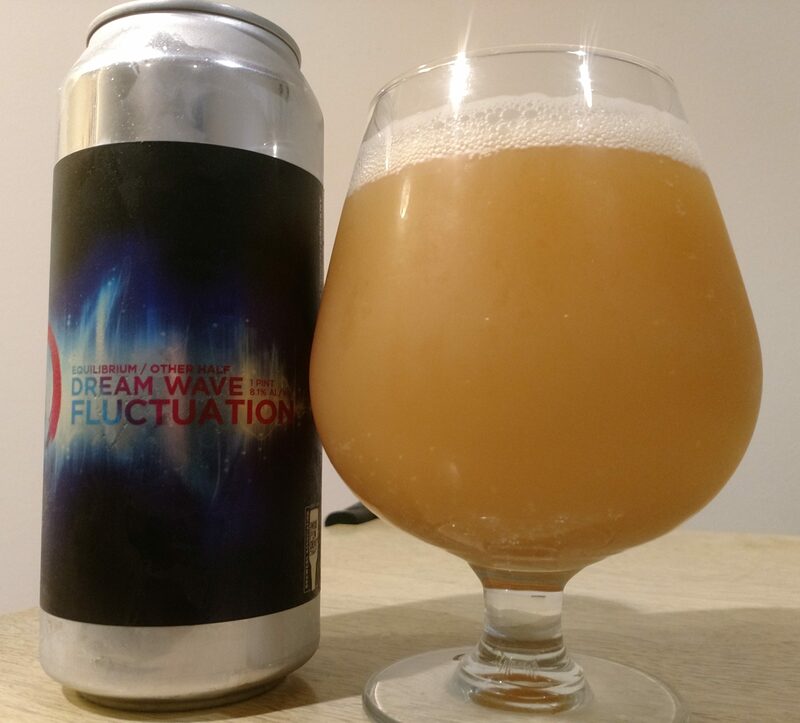 Overall: It was a good double IPA but not particularly one that stood out for me, especially in comparison to how much I loved Dreamwave Fluctuation. Still a very solid brew though. This beer was another gift to me from one of my friends in New Jersey who, full disclosure, now happens to work at Equilibrium. Thanks to her I ended up bringing home a fridge full of goodies, though this one I found particularly noteworthy. Description: A collaboration between two hot brewers from New York state, this double IPA was dry-hopped with Galaxy and Citra and brewed in a manner combining each brewery’s signature style. You can read more of the details here, but the quick takeaway point is that they used Equilibrium’s grain bill and added oats and lactose to give it an Other Half influence. Appearance: The beer poured a thick, murky, almost glowing pale yellow/light orange body with a thin white head. Smell: Tropical sweetness backed by resinous hops. Taste: Mix of fruits upfront, highlighted by tangerine, pineapple, and peach, followed by a smooth, slightly creamy transition to a spicy, pine resin layer of hops. There’s a lot of flavor going on, but it’s so balanced that the beer is super drinkable, only hinting at the ABV after sitting in the glass for a little bit. Mouthfeel: Creamy, slightly above medium bodied with a fairly moderate level of carbonation. Hype: I’ll go out on a limb and say elevated. Beyond my curiosity about trying out a beer from where one of my friends works, I’ve noticed that these two breweries tend to generate quite a bit of buzz when they make a noteworthy release. Overall: I really enjoyed this. It offered a nice mix of juicy fruit and hoppy bitterness in a smooth, balanced package. Liked the bit of heat accompanying the closing bitterness. September 22nd is a day I’ve had my eyes on for some time now. 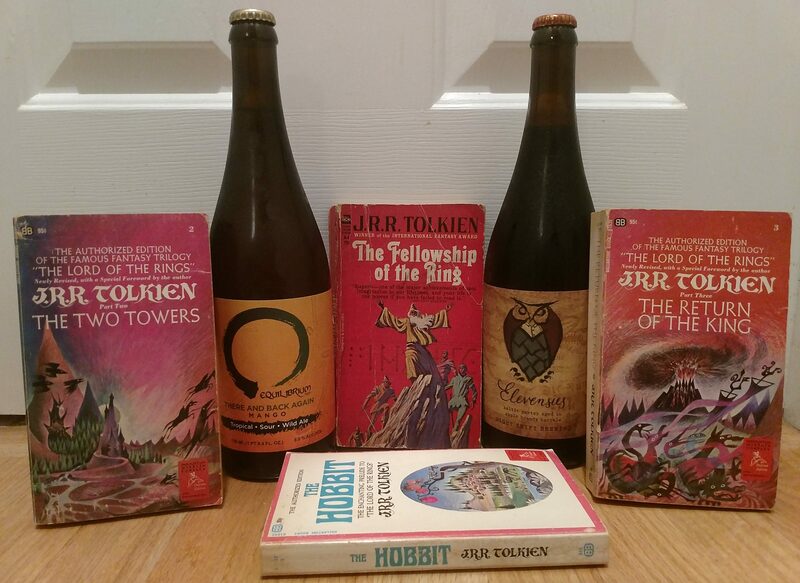 As you probably guessed from the title of this post, today is Hobbit Day, a day set aside by the American Tolkien Society to observe the birthdays of Bilbo and Frodo Baggins and offer fans an excuse to celebrate the works of Tolkien by partying like Hobbits! 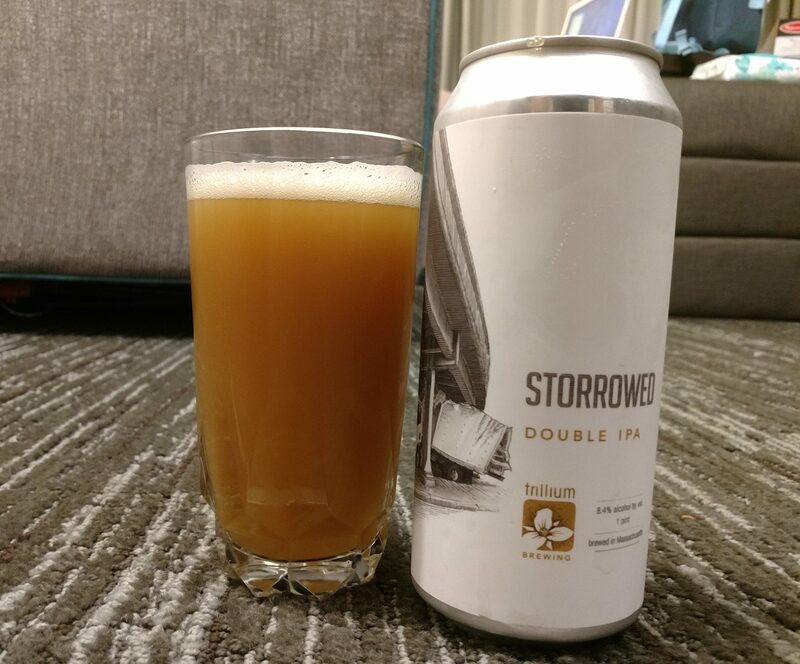 For my own celebration, I broke out two special brews I set aside for just such an occasion – There and Back Again (Mango) from the Middletown, NY-based Equilibrium Brewery and Elevensies from my locals at Night Shift Brewing Company. In the course of preparing for this post I definitely felt the need to put the Lord of the Rings trilogy back on my reading list. I’ve seen the Peter Jackson movies of course, but I last read the books about ten years ago and wasn’t in a particularly good state of mind while doing so. I had come down with a bout of pneumonia that mixed with a stomach bug and a nasty sinus infection that conspired kept me off my feet for nearly a month. At the height of my illness I spent a solid week unable to sleep, eat, or really do much of anything besides be violently ill. Reading was one of the main things that got me through this experience and the Lord of the Rings trilogy happened to be the first books I found near my bed. Over the course of several sleepless days I read these books (plus The Hobbit for good measure) and perhaps even hallucinated a journey of my own across Middle Earth somewhere along the line. I’m not sure how a reread would compare to that experience, but it feels like one is in order. But enough about me, bring on the beer! Appropriately enough, my first beer of the day had a name that invoked Bilbo’s epic journey from The Hobbit. There and Back Again (Mango), was a Wild Ale gifted to me by a friend during my trip to New Jersey a few weeks back. It poured a cloudy golden body with a full, foamy white head and featured a moderately funky smell with a tart fruitiness. Tastewise, the beer offered up tons of sweet tropical fruit, led by mango, that took a tart turn around mid-sip before closing with a mild funkiness. The mouthfeel was roughly medium bodied with low level carbonation, though I could swear it felt like the beer got thicker as the sip went on. I was a huge fan of this one and really enjoyed how the fresh, clean fruitiness played off of the tart and funky aspects of the brew. Definitely a strong way to start my festivities. Beer number two was Elevensies, an 8.5% Baltic Porter aged in apple brandy barrels, initially enjoyed at the same time any observant Hobbit would be settling in for their third meal of the day. I’ve had this bottle hanging around since its release back in December 2015 and figured now was the perfect time to finally open it up. It poured thick and black out of the bottle and didn’t leave anything more than a thin dark tan head even when I tried to force the issue. The aroma was an intoxicating blend of sweet, boozy apple brandy and rich malts. Each sip opened with sweet notes of fudge, brown sugar, and dark malt before making a creamy transition towards a warm, boozy brandy finish that tingled my nose when exhaling. The body was silky smooth and on the heavier side with very low carbonation. I thought this beer was absolutely amazing and given how it tasted a bit above the listed ABV it was also one that is likely to put some hair on your feet. And thus I conclude my first blog-official celebration of Hobbit Day and I am happy to say that I couldn’t be more pleased with how this went! I always enjoy the chance to think about my favorite stories and both of the beers I selected were absolutely fantastic. The bar has definitely been set high for next year. 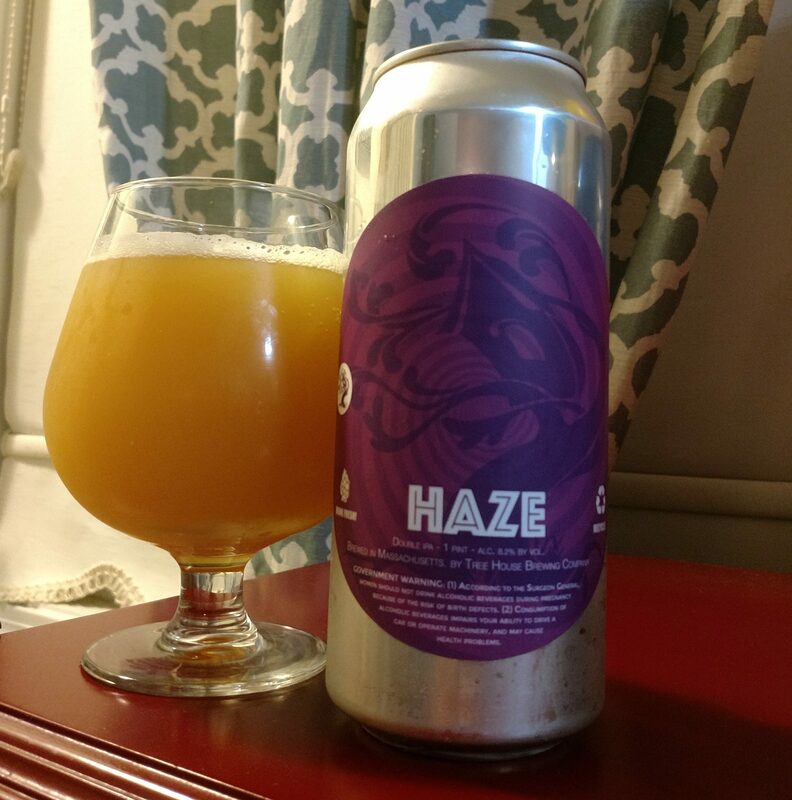 Checking in with another brew from my recent visit to Tree House Brewing. That mini-fridge full of beer isn’t going to drink itself! Description: A double IPA brewed with pale and robust regimen of kettle and dry hopping with select varieties from the American Northwest region. Read more about it here. Appearance: It (appropriately) poured a hazy, golden/pale yellow body and was topped by a thin white head of foam. Smell: Lots of fruit, mainly of the tropical variety, upfront with a piney, resinous finish. Taste: A whole more fruit going on, this time a pretty even mix of varieties with orange, mango, peach, and tangerine coming together in fresh blend of sweetness. A dank layer of bitter, earthy pine resin picked up towards the end where flashes of the pale malt backbone came out as well. Mouthfeel: It had a sticky, slightly above medium body with a moderate amount of carbonation that seemed to ramp up slightly on the very end of the sip. Hype: Again, elevated. This is another one of those elusive Tree House brews I’ve heard a lot of good things about. Overall: Delicious and very aptly named, this one delivered upon my expectations. 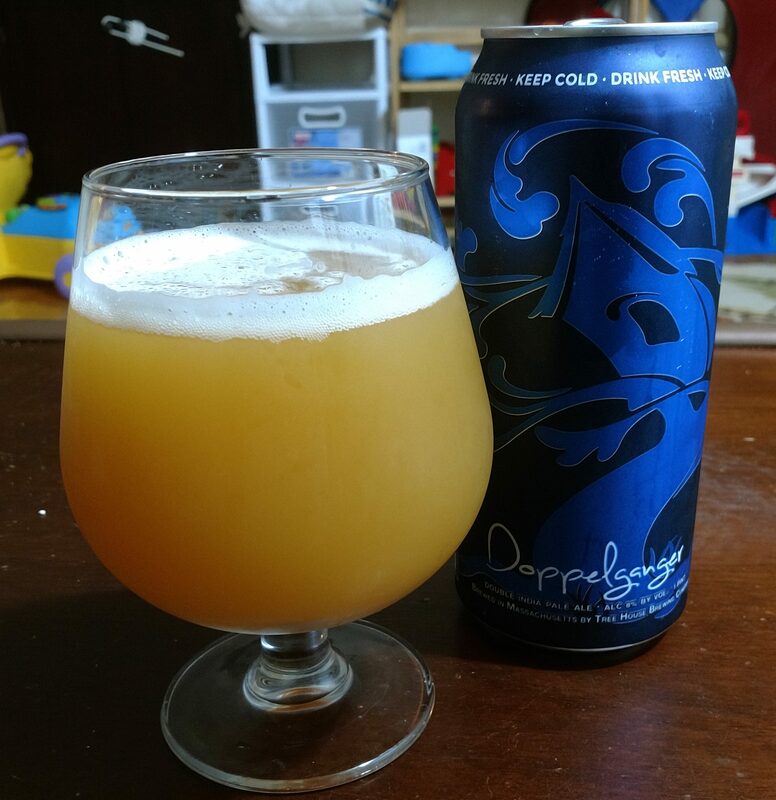 It nicely showcased both the smooth juicy flavors and bitter hop notes one looks for in this style. The BeerRantsAndBooks family happened to be in the vicinity of Tree House Brewing Company the other day and I took advantage of the opportunity to stop by and grab some cans. For those in this part of the world that haven’t been there yet, I highly recommend the trip. The brewery is absolutely beautiful with plenty of outdoor space to sit and enjoy the surrounding woods while drinking some excellent beer. Description: An imperial version of the brewery’s popular Alter Ego IPA, this beer was loaded up with loads of fruity hops. You can read more about here on the brewery website. Appearance: The beer poured a light orange/yellow body beneath a thin coating of thick off-white foam. Smell: Lots of melon and tropical fruits with moderate amount of pine resin lurking in the background. Taste: Similar to the smell in that it featured a lot of soft melon upfront, backed by juicy tropical fruits. It finished with a hazy layer of pine resin stretching out across the last half of the sip and peaking at the very end. Mouthfeel: Medium bodied with a slightly less than moderate level of carbonation. Hype: Elevated on account of the brewery that made it and because I had heard some good things about this beer in particular. Overall: I liked this, but I think that I had perhaps hyped it up a bit too much in my head before drinking it. It was definitely a very good double IPA, but not the world-beater I had thought of it being going in. Definitely an excellent purchase, this was just another example of how it is often best to set your expectation aside before trying out something new. And so I begin another epic fantasy series that came to me highly recommended by my wife. To her mild frustration I’ve put off reading this one for almost a year now, but after several reminders that the last series she recommended to me was Mistborn I figured I’d better start reading! 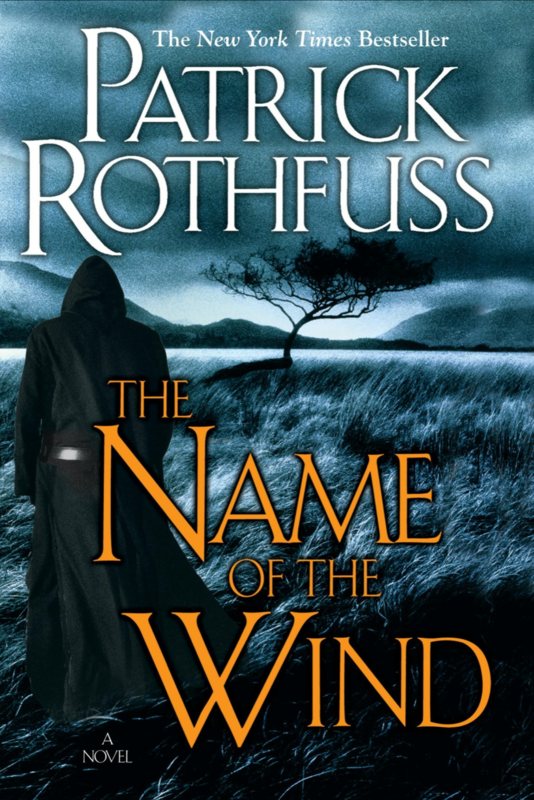 Published in 2007, this book begins the tale of a man named Kvothe. Though we first meet him working as an innkeeper in a sleepy rural town, it soon becomes apparent that there is much more to him than meets the eyes of the locals. Through his interactions with his companion Bast and reactions to a seemingly demonic attack on one of the townsfolk, it is suggested to the reader that this unassuming man has lived a rather extraordinary and heroic life. Kvothe, however, seems determined to keep his past closely guarded from those around him, at least until a man known as the Chronicler, a famous scribe with a connection to someone from his past, arrives in town and persuades him to share his life story. Kvothe relents and begins to recount the extraordinary and often grim events of his youth. From seeing his a nomadic childhood in an acting troupe cut short by a group of demons to his years spent living in poverty as an orphan on the streets of a dangerous city, Kvothe likely would have met an early death if not for his exceptional skills and strength of character. Through sheer determination, Kvothe eventually fulfills his childhood dream of entering the University where he officially begins his study of this world’s magic system, in the process creating something of a reputation for himself while making a fair number of friends and enemies along the way. On the whole I really liked this story, but the book itself was a bit of a slow burn for me. I found the first few chapters at the inn to be a bit slow and frustratingly cryptic while later on I thought the pacing was a bit uneven as some scenes felt like they went on just a bit longer than they needed to. That said, there were plenty other places where I would get so caught up in the story that I couldn’t put it down. The payoff from these parts was so great that the promise of these moments eventually convinced me to stop worrying about sporadic slowdowns. Indeed, the ending sequence in which Kvothe recalls an adventure with Denna, followed by the present day events back at the inn, had me ready to race right into the next book. Other highlights of the book for me were getting caught up in the rather intense relationships Kvothe develops with friend and foe alike and the author’s methodical and scientific approach to magic in this world. On all of these topics, there are plenty of mysteries and intrigues set up for the next installment of the story that I can’t wait to see pan out. I just can’t help but wonder how reliable a narrator Kvothe has been while taking us on this journey, though I suppose only time will tell. 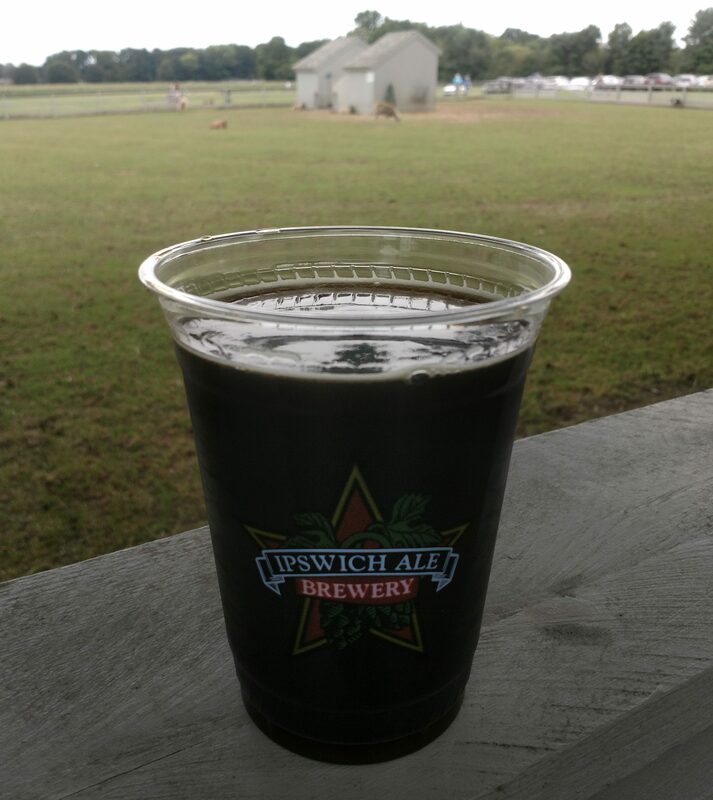 After getting our fill of apple treats, we journeyed on to the Spencer Pierce Little Farm in Newbury to check out Ipswich Ale Brewery’s Harvest Festival. It was an all ages, family-friendly event that offered something for everyone. The venue was beautiful and my toddler had a blast seeing his second round of farm animals (including his favorite – a horse! ), getting a caricature drawn, and playing lawn games with some of the other children. Also featured that day was a steady supply of live music, 1860s-rules baseball games, and a variety of food trucks. And, of course, there was also plenty of Ipswich beer, which was being poured out of the brewery’s fantastic tap mobiles – a small fleet of vintage trucks equipped with tap handles for dispensing beer on the go. There was a wide variety of styles pouring that day, including my beloved Route 101 and 1620 IPAs, but since I was in a festive fall mood I went with a pair of seasonal options (procured at a cost $6 per 16 oz. pour). Beer number one was Chucktoberfest, a 6.1% Marzen. It had a nice orange/copper body with some off-white lacings around the top of the cup. Its sweet, toasted malt aroma carried over into the taste where it faded into a blend of clean, bready malts and mild earthy hop presence that brought to mind everything you’d expect from a German-style lager. It made for some easy drinking and was a good start to the fall season. My second, and final, beer of the day was the 5.4% Pumpkin Porter. I broke my own rule regarding pumpkin beer with this one (never before October! ), but the festive spirit moved me once again. Looking back at my old posts, apparently this is second time I have done so for this beer! Pumpkin beers in general are pretty hit or miss with me, but I liked this one more than most after trying out a full serving. It poured a black body topped by a thin, foamy white head. Tastewise, it offered up a mild roasted malt backbone with notes of pumpkin and spice on top. While I suppose it’s a little bit late to tell you all to head on over to this event, I will say that the BeerRantsAndBooks crew had an excellent time. I always welcome the chance to drink some fresh Ipswich Ale and the novelty of having poured from their tap mobiles made it extra special. 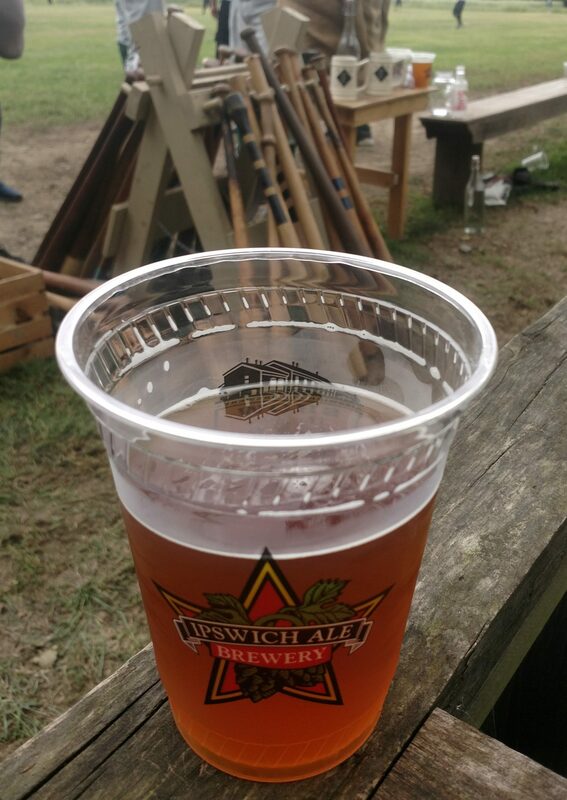 Keep an eye on the brewery’s events page to see where they may be popping up next! Pew pew pew. Another beverage I took with me on my vacation over the Holiday weekend. Appearance: Poured a cloudy straw colored body that sat below a fluffy white head. Smell: A slightly sweet blend of grapefruit, lemon rind, and piney hops. Taste: It started out out with moderate notes of grapefruit and citrus rind, followed by light bitterness. The finish brought out a crackery light malt base and brought the beer to clean, crisp finish accentuated by piney hops. Mouthfeel: Light to medium bodies with a carbonation level just a touch below moderate. 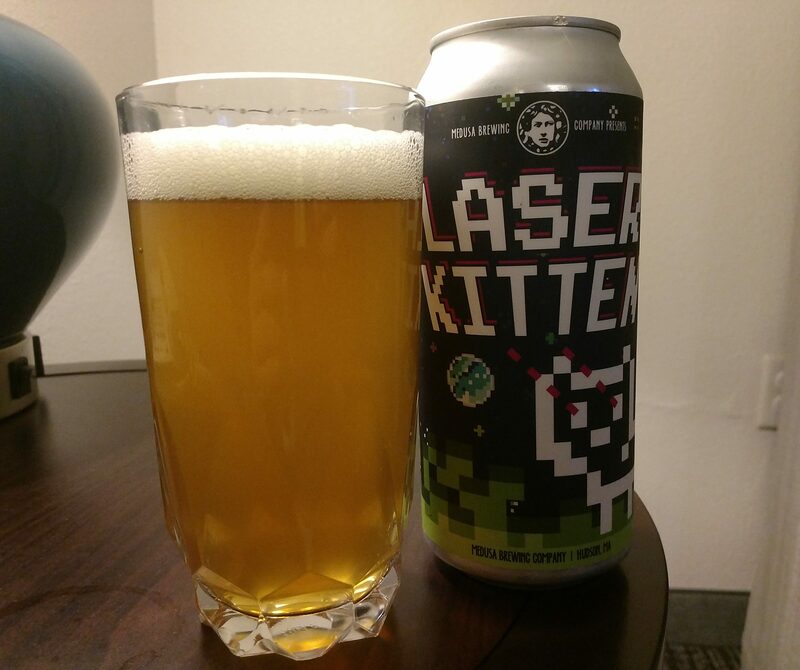 Hype: I don’t really know any hype surrounding this particular beer, but its big brother, Laser Cat, always seems to generate a good deal of excitement. Overall: Light and refreshing with a nice clean hoppy finish, this was everything a session IPA should be. Very nice beer indeed. Hi everyone! I feel like it has been a while since I’ve kept to my regular posting schedule but with Fall rapidly approaching I am hopefully inspired and ready to start getting back on track. I drank this timely release over the holiday weekend, happily far outside the city of Boston. Not only does Labor Day weekend mark the end of summer in these parts, it also means the return of the college kids as the city’s many campus welcome back their students. As you can imagine navigating the city is somewhat hectic at best during this time of year, and a central stretch of road named Storrow Drive can be a particularly challenging place to be. Although it is clearly marked as inaccessible to trucks and buses on account of its low clearance bridges, inevitably some unfortunate driver of a small moving truck misses the signs and ends up hitting a bridge, much to the anger of everyone that piles up behind them. This event is something the locals call getting “Storrowed” and I actually witnessed it happen once several years ago when a do-it-yourself moving truck nearly tore its top off hitting a bridge and did not emerge from the other side. Description: To summarize the official notes provided on the company website, this double IPA was brewed with Vic Secret and Citra hops to give a smell and taste bursting with tropical and stone fruits. Appearance: Dark yellow/amber/orange body topped off by a yellowish/white head of foam. Smell: Huge blast of tropical fruit juice, coming out of both the can and the glass. Taste: Juicy to the extreme with tons of pineapple and mango upfront. The fruits slowly blended into a haze of sugary, tropical hops and finished with a throat warming bit of heat. Mouthfeel: Creamy body on the heavier end of the spectrum with a carbonation level just a bit shy of moderate. Hype: Elevated, and not just because it’s from Trillium. They’ve canned this one a few times now and compare it Headroom, one of their most anticipated releases. For reasons discussed above, it was seasonally appropriate as well. Overall: I was a fan of this. Despite the big juicy flavors and warm finish, this somehow managed to be a rather mellow drinking experience that I really appreciated. Definitely glad I was able to check it out.